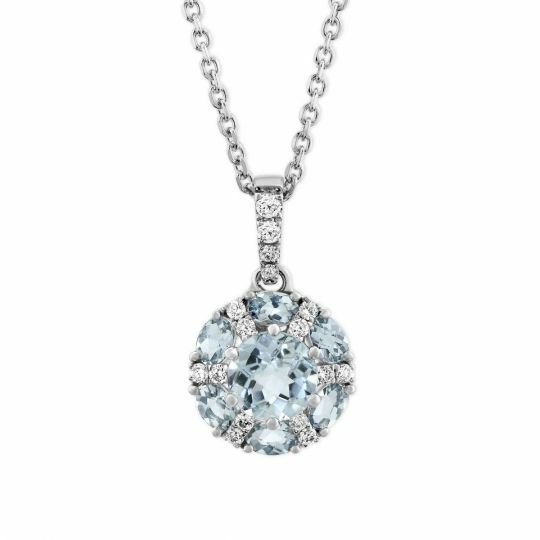 Invoking the tranquility of its namesake, aquamarine is derived from the Latin word aqua, meaning water, and marina, meaning the sea. 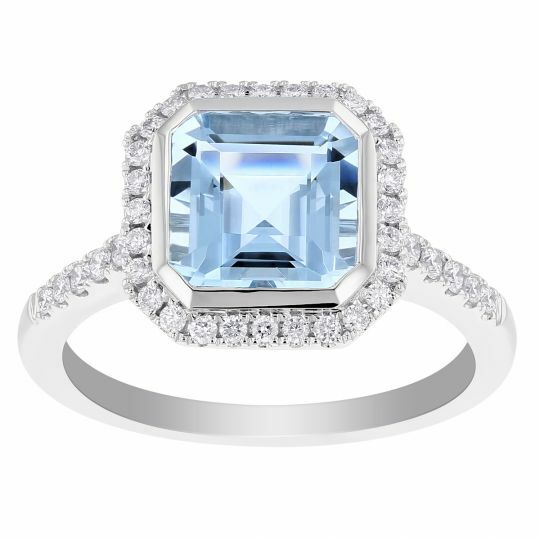 The serene blue or blue-green color is said to help those with a temper, allowing the wearer to remain calm and levelheaded. 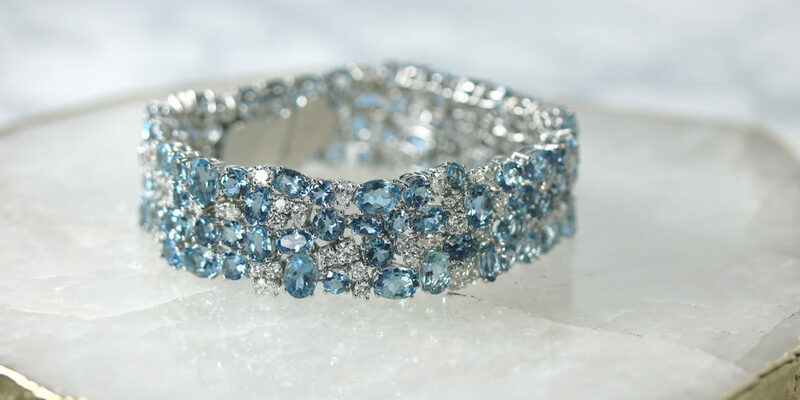 The perfect “something blue” for your wedding day, in ancient times people would gift brides aquamarine to symbolize long unity and happiness in marriage. Others believed it could awaken love between two people. 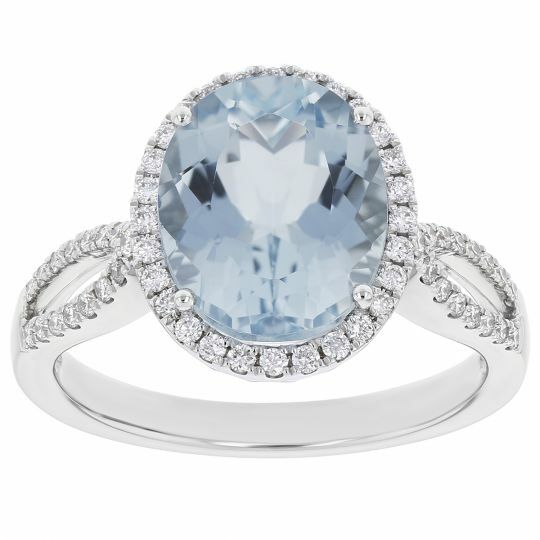 Perhaps this is why Meghan Markle chose to sport Princess Diana’s aquamarine cocktail ring after her nuptials to Prince Harry. 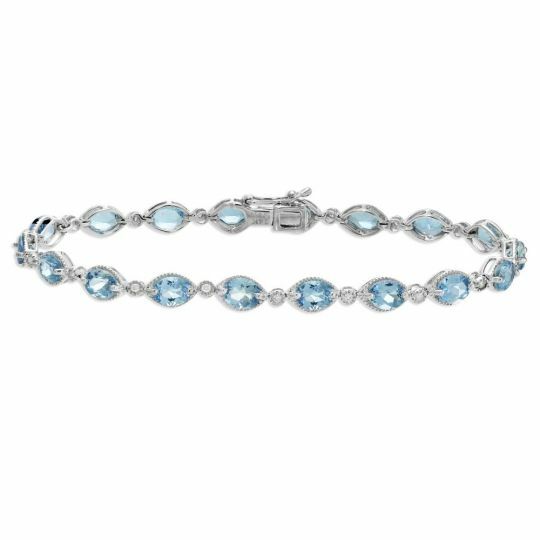 Pisces, Aries’ and those celebrating a 19th wedding anniversary can find a wide selection of aquamarine jewelry they are sure to love. 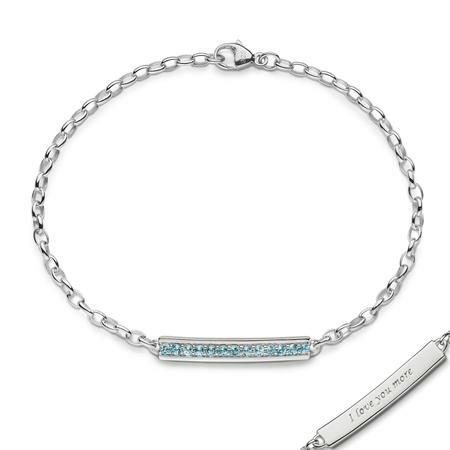 To help celebrate this gem, we’ve rounded up a few interesting facts and some new arrivals to Borsheims.com for gifting inspiration. 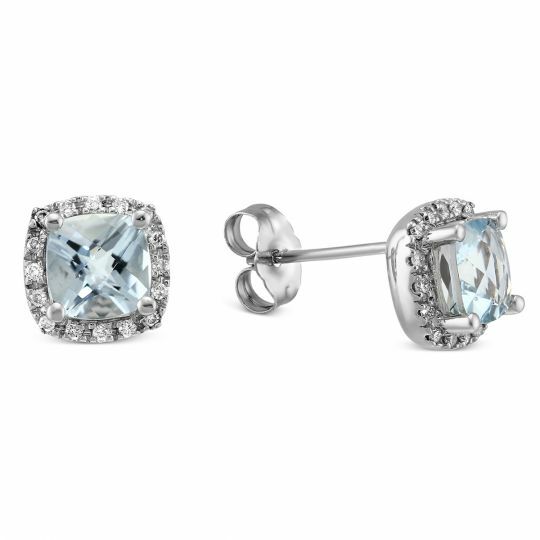 Aquamarine is a color variety of the mineral beryl (like emeralds) and grows in six-sided prismatic crystals. 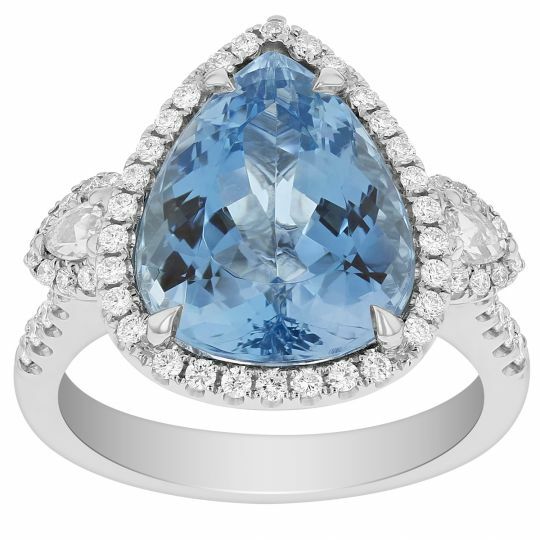 It is most often light in tone, with its blue or blue-green coloring appearing more intense in larger stones. 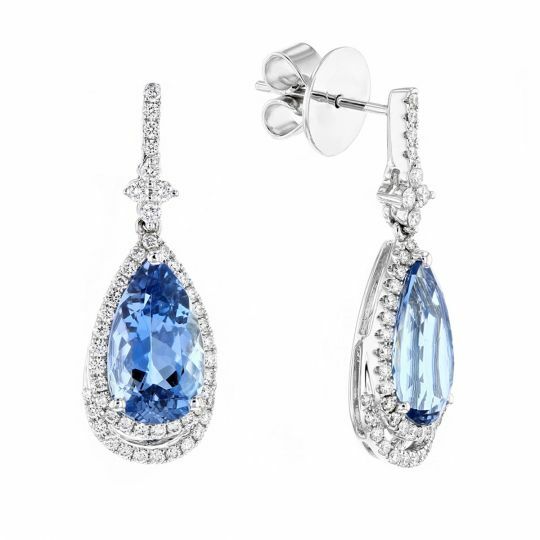 This gemstone’s color allows it to complement a variety of metal colors and complexions. 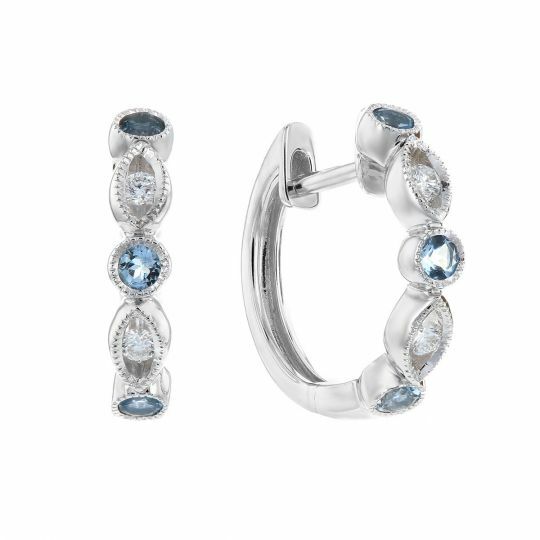 With a hardness of 7.5–8 on the Mohs scale, this March birthstone is durable enough for everyday wear. 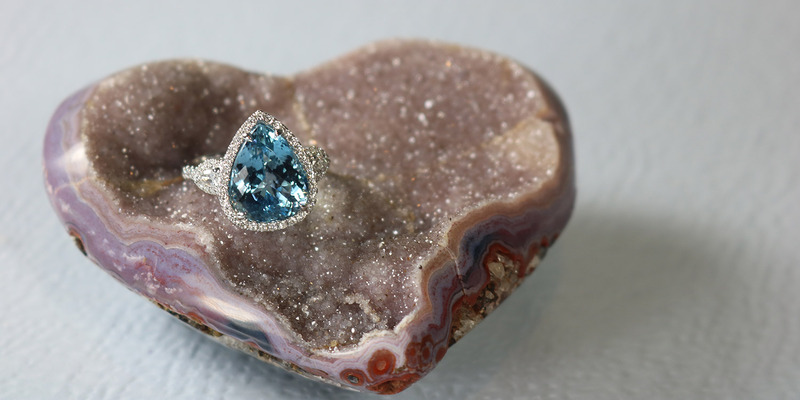 This gemstone is mined mainly in the Brazilian state of Minas Gerais. Aquamarines are found in primary (hard rock) and secondary (weathered) pegmatite deposits in the eastern portion of the state, near the gem center of Teófilo Otoni. Smaller deposits can be mined in Kenya, Madagascar, Nigeria, Zambia, Mozambique, China, Myanmar, Russia and Ukraine. Stateside, sources include the Mount Antero area of Colorado (it’s the state gem) and California’s Riverside and San Diego counties. 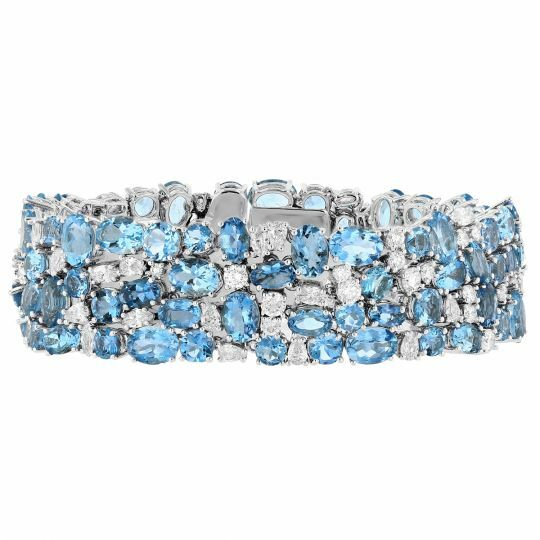 In 1936 the government of Brazil gave First Lady Eleanor Roosevelt a dark blue rectangular step cut aquamarine that weighed 1,298 carats. It is now housed at the Franklin D. Roosevelt Presidential Library and Museum in New York. The largest faceted aquamarine in the world, the 10,363 ct (about 4.6 pounds) Dom Pedro Aquamarine can be viewed at the Smithsonian. The obelisk was fashioned by acclaimed German lapidary Berndt Munsteiner using the fantasy cut technique. 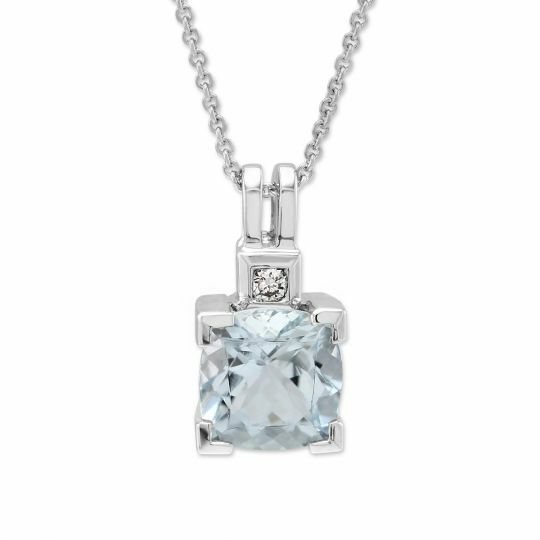 Believed to protect sailors, aquamarine was often aboard ships in ancient times to guarantee a safe voyage. The Romans believed that if you carved a frog into the gemstone, it would help to mend differences between enemies and make new friends. Many ancient medicines used powder from aquamarine to help cure infections, particularly eye ailments. The stone is also considered to be a great addition to self-care practices and is used widely as a meditation aid to help one cultivate more inner tranquility. 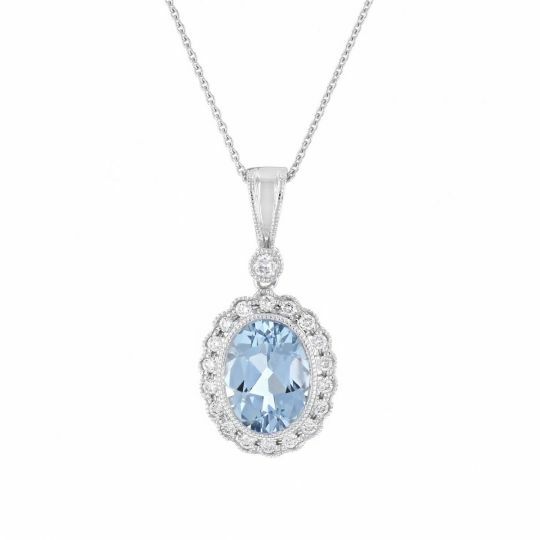 For more aquamarine facts, treatment and care tips visit our gemstone guide and browse below for necklaces, rings, earrings and bracelets sure to put a smile on any March babies’ face.